... fresh from the ocean. ... are waiting to discovered by you. ... and your own beach. ... in turqoise and crystal clar water. ... some islands have fishing villages. ... also called Monken or Salone. Once it was a place where pirates hit and attacked trading boats, which where arriving to Myeik (Mergui) to unload their cargo. Since 1950 it was closed to the outside world, because of the defense strategy of Burmese military regime. Only in 1997 live abroad cruises from Thailand were allowed to enter the Archipelago from the most southern point of Myanmar (Kawthaung) only with special permission. For multiple day tours it is still necessary to have a permission pre-arranged. The permission need to be arranged through a travel and tour company. Cruises range from 2 to 10 days and can include kayaking, hiking, sailing, snorkeling and diving. Private charters are possible, but only with a crew and a pre-arranged permission. We like to mention that individual travelers are currently allowed to take a fishing boat from Myeik to the closer islands without any permission. However it is not possible to visit a postcard beach as the nearby islands are situated in the mangroves. The surrounding waters are murky and the beaches are more brownish than white. The fishing boats are too slow to take passengers further out and overnight stays on the islands for individual travelers are prohibited. Alternative there is a public ferry to Kyunsu Island in the morning for a visit to a fishing village. Travelers will need to return in the afternoon. For diving day trips from Dawei are possible for 2018-2019 season. Myeik has dive trips at all at the moment (Sept 2018). Dive live aboard trips will be leaving from Kawthaung, but you will need to book in advance to obtain the necessary permit, mostly 6 or more days. To enter the Archipelago arrangements need to be made through an agency. On top of the tour package costs there will be a Royalty fee for the Mergui Archipelago. The fee contains harbour and service taxes as well as the permission costs. Fees vary and depend mainly on the length of stay as well as the size of the boat. 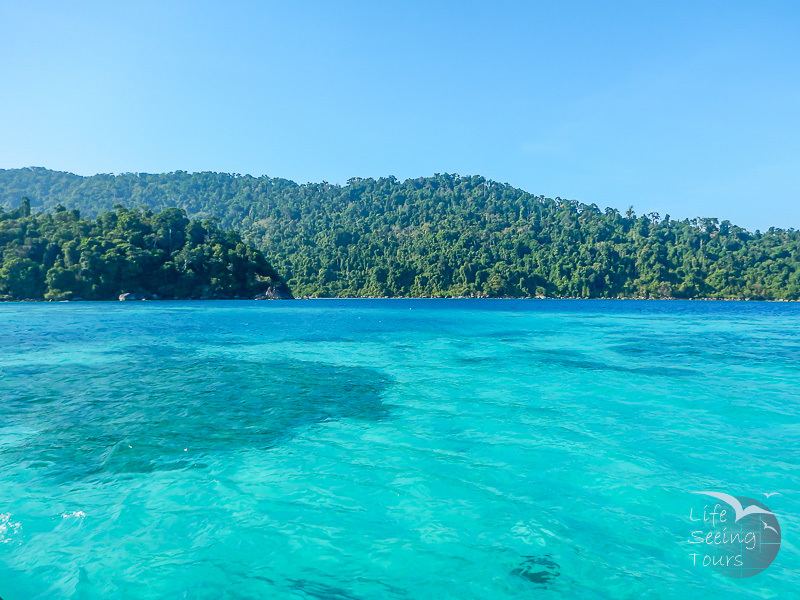 The only two places to access the Mergui Archipelago are Myeik or Kawthaung. Flights depart daily from Yangon to both destination. The Northern Mergui Archipelago remains uncharted as nearly all live aboard leave from the south. Myeik has plenty of options for day tours and just started the overnight cruising. The Southern Archipelago has seen a handful of tourists for the last 20 years, but still not every island has been visited. From 800 bigger islands and up to 4000 islets in total, there is still plenty to discover. There are three places in the Archipelago to stay. he access is from Kawthaung only at the moment. (Jun 18). Lampi Island (Salet Galet) – National park is the most famous island. It offers a wide range of flora and fauna. Among others small mammals, monkeys, barking dear and plenty of bird species can be spotted on the island and in surrounding mangroves. Lampi’s beaches are unspoiled and have great coral reefs for snorkeling. To discover Lampi fully it would need at least three days. High Rock is located about 25 kilometers from Kawthaung and usually one of the first stops for diving. It is a very small rocky island without beaches and only one tree. The dive site is superb with visibilities over 15 meters on good day. There is a chance to spot nurse sharks in the crevasses and quite a lot of sea horses. Tanintharyi Island (Tenasserim Kyun) has long sand banks, which are inviting for a stroll. 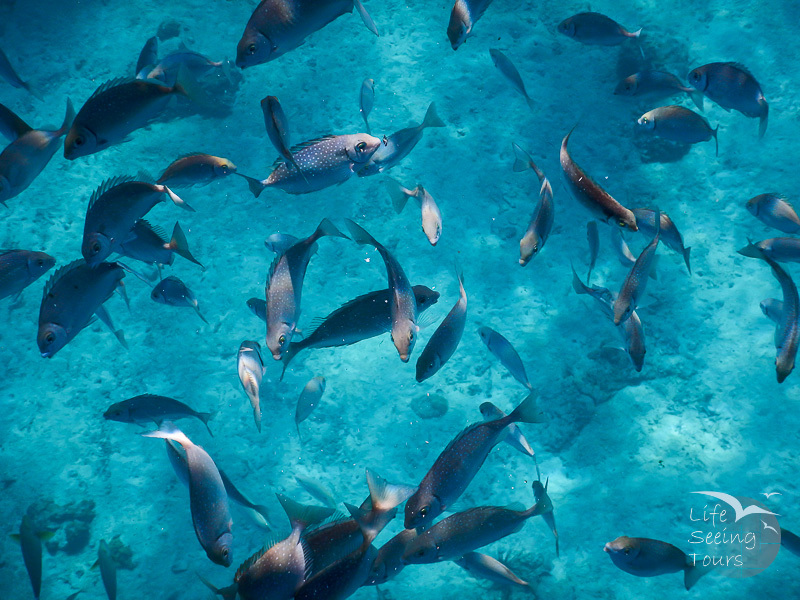 The nearby reefs offer a great snorkeling possibility. Bird watchers also have a chance to discover some rare species. 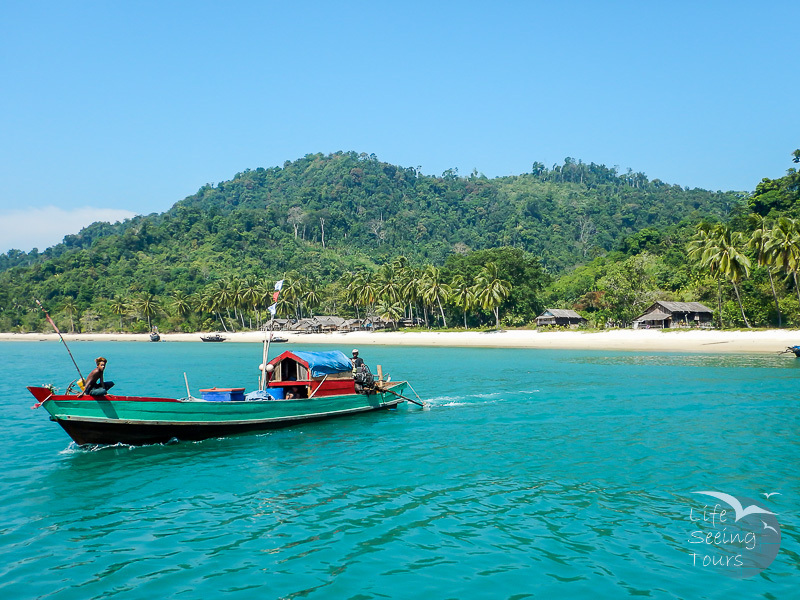 Dome Island (Daung Kyun) is a huge island in the northern part of the archipelago and can be reached from Myeik within a day’s speed boat ride. The north east side has a small reef with good visibility for snorkeling as it is sheltered from the waves. On Dome Island there are four small fishing villages partly inhabited by sea gypsies (Moken people) in dry season. On the southeast side is a small waterfall, where fishermen refill their fresh water tanks. Life Seeing tip #1: Bear in mind that you enter the wilderness, there are no gardeners ragging the sand daily to prevent the sand flies from breeding. Especially for overnight trips at dusk and dawn you should use strong insect repellent. Try to use a natural based one to save the environment. Life Seeing tip #2: Instead of using sun screen for protection, try to uses the natural product thanaka. (If you don’t know this is the yellow make up Burmese women and kids wear everyday. It is also fine to use it for men.). The ocean will thank you one day as sun screens are hard to dissolve. Thanaka also has a cooling effect on your skin. The department of fishery has regulations in place for net sizes and fishing practices. However they don’t have the man power to control these. There are reports of huge trawlers catching everything from the tiniest little shrimp and even taking out the coral. Middle aged fishermen said back in the days they had more than enough tiger prawns to eat. Nowadays they are not that plenty anymore and fishermen can’t effort them. This does not mean you should stay away, it means you should come and show that tourism can be a different source of income.